Help shape your child’s educational experience. $10 annually / individual parent or family member. $6 annually / individual teacher and faculty. 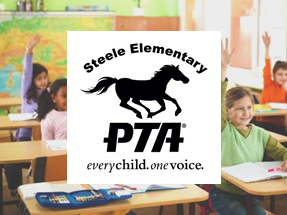 Consider giving some of your time to activities and programs that benefit the greater Steele community and help us create "a culture of volunteerism!". Direct giving annual program that support key educational needs as determined by the Principal and the Steele’s Collaborative Committee (CSC).